The Supreme Court on Monday directed the Election Commission to increase the random matching of paper trail machine slips with EVM results from one to five polling booths in each Assembly segment for the multi-phase Lok Sabha polls starting on Thursday, holding this will bring more “credibility” and “integrity” to the electoral process. The increase in random checks of Voter Verifiable Paper Audit Trail (VVPAT) machines is likely to delay the declaration of official results by a couple of hours, election officials said. Such checks will, however, help determine whether votes have been recorded accurately. 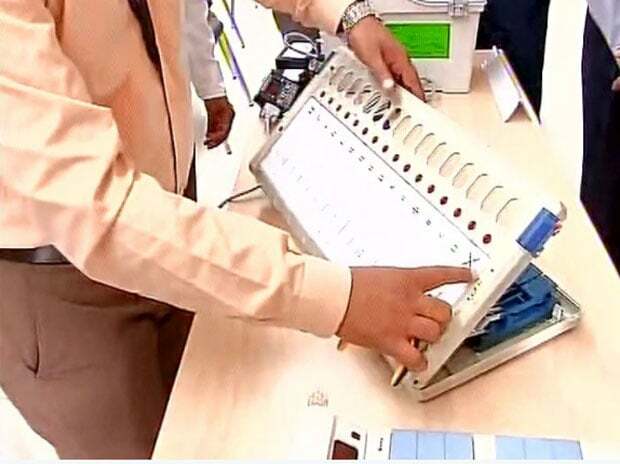 VVPAT machines are being used for the first time in any Lok Sabha elections though they were deployed in some parliamentary and assembly bypolls. The court gave the order on a petition by 21 Opposition leaders, led by Andhra Pradesh Chief Minister and TDP chief N Chandrababu Naidu, demanding counting of at least 50 per cent of paper trail machine slips per assembly segment to match the results of Electronic Voting Machines (EVM). This demand will require huge manpower and will not be feasible due to infrastructural difficulties, it said. Reacting to the order, an EC official said the poll panel will make all-out efforts to implement the directions “with immediate effect”. Following the 13-page court order, the poll panel will have to count the VVPAT slips of five times as many machines in each constituency, or that of 20,625 EVMs. At present, the poll panel matches VVPAT paper slips of 4,125 EVMs under the ‘one EVM per assembly’ segment guidelines. The Congress urged the Supreme Court to review its order, saying the party is not satisfied with random counting of VVPAT machines only in five booths in each assembly segment. Party chief spoke­sperson Randeep Surjewala said that as a citizen of India he was concerned why Rs 18,000 crore were spent on VVPATs if they were not to be used in elections. After votes are cast, the polling station where VVPAT slips are matched with EVM results is decided by a draw of lots or lottery system in the presence of candidates. VVPAT is a device which dispenses a slip with the symbol of the party for which a person has voted for. The slip appears on a small window for seven seconds and then drops in a box. The voter cannot take it home. “It is our considered view and having regard to the totality of the facts, it would generate greater satisfaction and will foolproof the electoral process if number of VVPAT machines is increased to five per assembly segment of each Parliamentary constituency,” a bench headed by Chief Justice Ranjan Gogoi said. “We are of the view that if the number of EVMs in respect to VVPAT is subjected to physical scrutiny be increased from one to five per assembly segment...there will be greater satisfaction not only to the political parties but also to the voters,” the bench also comprising Justices Deepak Gupta and Sanjiv Khanna said. It emphasised that this increase in the number of EVMs for VVPAT slips matching per assembly segment would neither require additional manpower and infrastructure nor delay the declaration of results. The bench interacted with the Deputy Election Commissioner Sudeep Jain who said that presently the poll panel matches VVPAT paper slips of 4,125 EVMs. Jain told the court that at present three election officials, one returning officer and one observer, who happens to be a senior civil servant, are deployed to undertake the random checking of VVPAT slips with one EVM and increasing the sample size would require more workforce. Senior advocate C A Sundaram, appearing for the EC, said it was the constitutional duty of the poll panel to ensure free and fair election in the country and it has put forth the difficulties posed in increasing the sample size in view of the allegations of leaders of different political parties which was only based on their perception. Senior advocate A M Singhvi, appearing for the opposition leaders, said that the delay of 5.2 days, as the EC claims, will occur only if the Commission choose to not increase its present workforce from one person but the delay would be substantially reduced if the workforce is increase by even one person.